I said it without thinking. And as I powered down the street, it occurred to me that I had just experienced my natural self. Blurting out those words was a clear representation of me. I face challenges, just like every other soul. My body doesn’t always feel great. My mind is aging. Life is sometimes harder than I ever thought it could be. And still – I love this being alive thing. 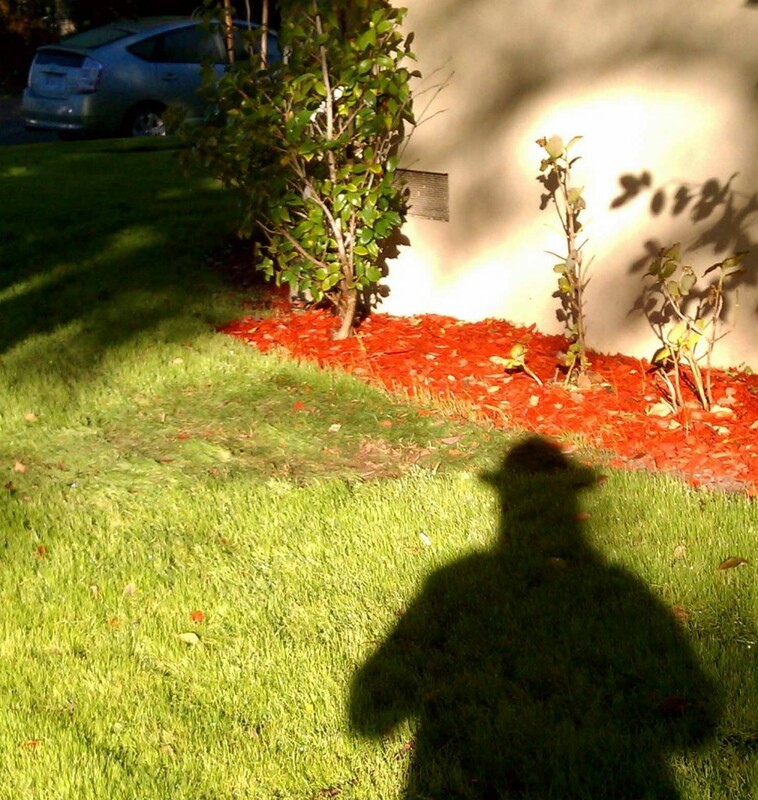 At some point during yesterday’s walk, I caught sight of my shadow on a green lawn. I had forgotten I was wearing my monkey hat, replete with face and ears. No wonder folks were so smiley. Glad to have been of good cheer.